2019 International Conference on Advanced Bioinformatics and Biomedical Engineering (ICABB 2019) aims to gather professors, researchers, scholars and industrial pioneers all over the world. ICABB is the premier forum for the presentation and exchange of past experiences and new advances and research results in the field of theoretical and industrial experience. The conference welcomes contributions which promote the exchange of ideas and rational discourse between educators and researchers all over the world. We aim to building an idea-trading platform for the purpose of encouraging researcher participating in this event. ICABB 2019 is welcome qualified persons to delivery a speech in the related fields. If you are interested, please send a brief CV with photo to the conference email box: icabb@cbees.net. Prof. Yuan-Ting Zhang iscurrently the Chair Professor of Biomedical Engineering at CityUniversity of Hong Kong. He was the Sensing System Architect inHealth Technology at Apple Inc., California, USA in 2015. He was thefounding Director of the Key Lab for Health Informatics of ChineseAcademy Sciences (2007-2018). 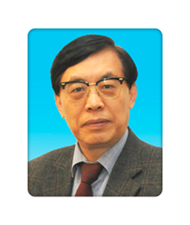 Professor Zhang dedicated his serviceto the Chinese University of Hong Kong from 1994 to 2015 in theDepartment of Electronic Engineering, where he served as the firstHead of the Division of Biomedical Engineering and the foundingDirector of the Joint Research Center for Biomedical Engineering.Prof. Zhang was the Editor-in-Chief for IEEE Transactions onInformation Technology in Biomedicine. He served as Vice Preside ofIEEE EMBS, Technical Program Chair of EMBC’98, and Conference Chairof EMBC’05.Prof. 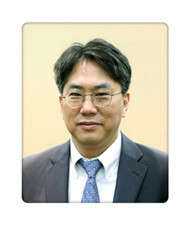 Zhang is currently the Editor-in-Chief for IEEEReviews in Biomedical Engineering, Chair of 2018 Gordon ResearchConference on Advanced Health Informatics, Chair of the WorkingGroup for the development of IEEE 1708 Standard on Wearable CufflessBlood Pressure Measuring Devices, and Chair of 2016-2018 IEEE AwardCommittee in Biomedical Engineering. Prof. Zhang's researchinterests include cardiovascular health informatics, unobtrusivesensing and wearable devices, neural muscular modeling and pHealthtechnologies. He was selected on the 2014, 2015, 2016 and 2017 listsof China’s Most Cited Researchers by Elsevier. He won a number ofinternational awards including IEEE-EMBS best journal paper awards,IEEE-EMBS Outstanding Service Award, IEEE-SA 2014 EmergingTechnology Award. Prof. Zhang is elected to be IAMBE Fellow, IEEEFellow and AIMBE Fellow for his contributions to the development ofwearable and m-Health technologies. Sun Kim is Professor in the School of Computer Science and Engineering, Director of Bioinformatics Institute, and an affiliated faculty for the Interdisciplinary Program in Bioinformatics at Seoul National University. 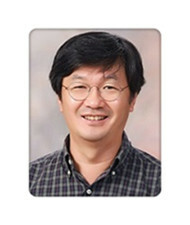 Before joining SNU, he was Chair of Faculty Division C; Director of Center for Bioinformatics Research, an Associate Professor in School of Informatics and Computing; and an Adjunct Associate Professor of Cellular and Integrative Physiology, Medical Sciences Program at Indiana University (IU) Bloomington. Prior to joining IU in 2001, he worked at DuPont Central Research from 1998 to 2001, and at the University of Illinois at Urbana-Champaign from 1997 to 1998. Sun Kim received B.S and M.S and Ph.D in Computer Science from Seoul National University, KAIST and the University of Iowa, respectively.